My Filco MJT2 TKL with retro-looking cherry beige/grey keycaps. ES, do you have an amazon link to that covered cable? I sure do. Here you go. EDIT: Sorry, I didn't see that someone had responded to that already. I got my first little order from WASDkeyboards for my new QF Rapid Red! 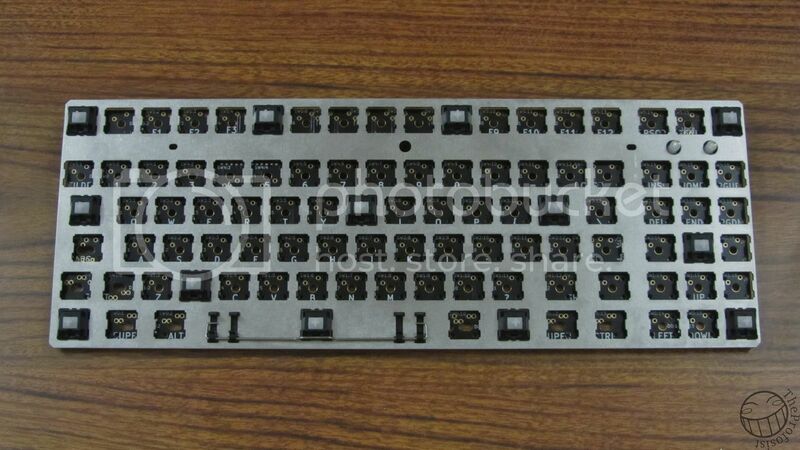 My next plan is to order a 39-key ISO keycap set from wasd to replace all the letters, maybe in dark grey. We'll see. 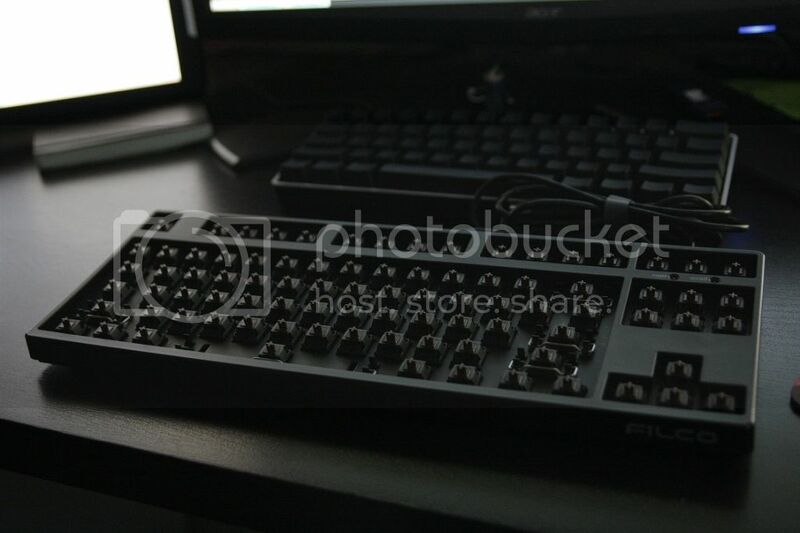 I really like some of WASD's designs. I just wish they would make a move towards PBT material. My last keyboard purchase before my fire sale. I'm definitely keeping this keyboard, it's a Chicony KB-5181 with monterey blue switches in excellent condition. I rank it among my top two favorite keyboards...can't decide whether I enjoy monterey blues or IBM Model F springs more. I don't think so. I really like it. This KB-5181 is going into my permanent collection. 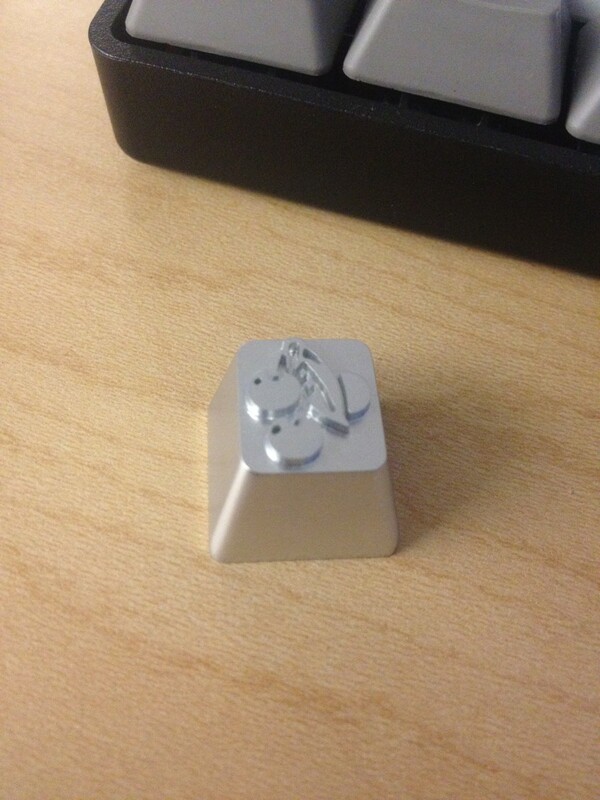 Got the Fingerprint Keycap, made by i3oilermaker, loving it, thanks ! This isnt keyboard relate but my Pen Type-A finally came and man its one nice piece of work. the cherry key is too tight, i need to file it out or something. backspace is neat but it sounds bad on my poker. I think it's hitting the stabilizer bar or something. Metal Lube Station. Demik is the mutha phucken man fo sho! unnecessarily huge box + other small boxes to keep it still. so what is the big round hole for in your lube station. Looks a little weird to me. Like the 3 bears... it's just right. your container of lube goes in that hole. 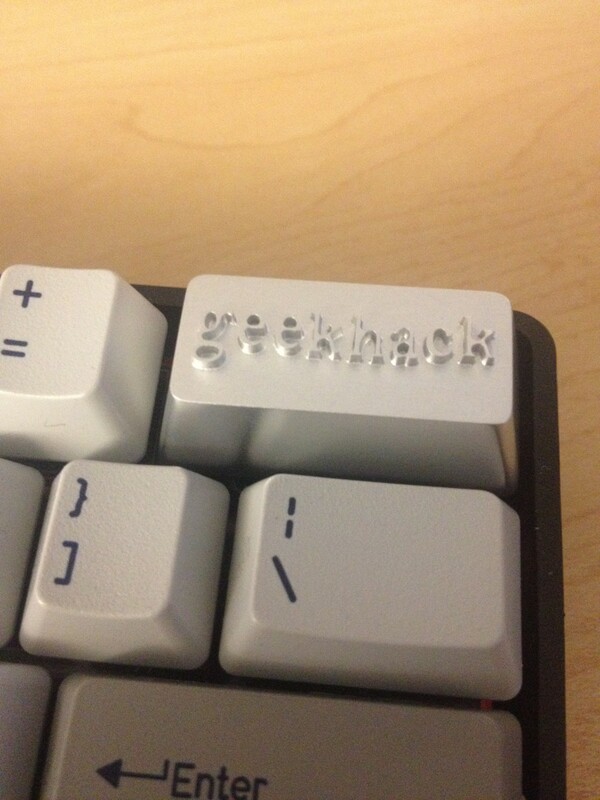 ...Some sweet double-shots from TechKeys! 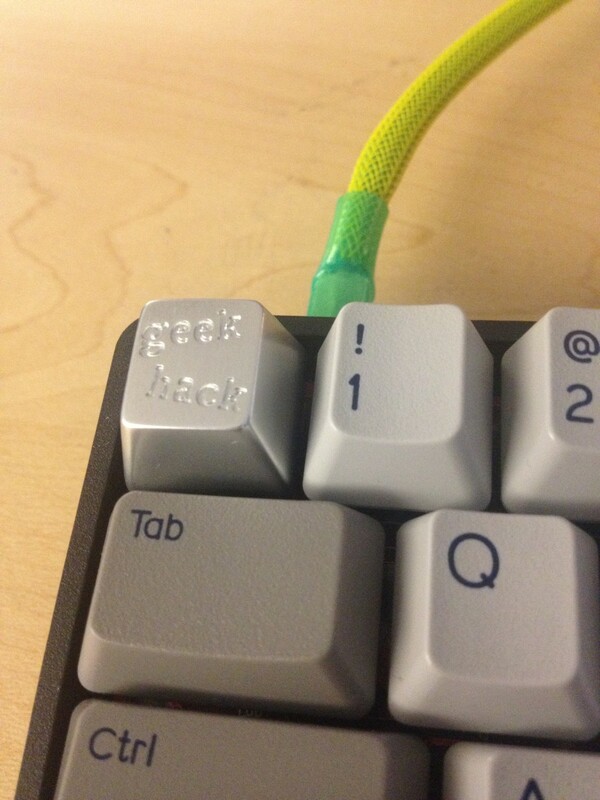 I really dig the green stepped caps lock. My pi came in today! Less than 24 hours from send to arrive, amazing. 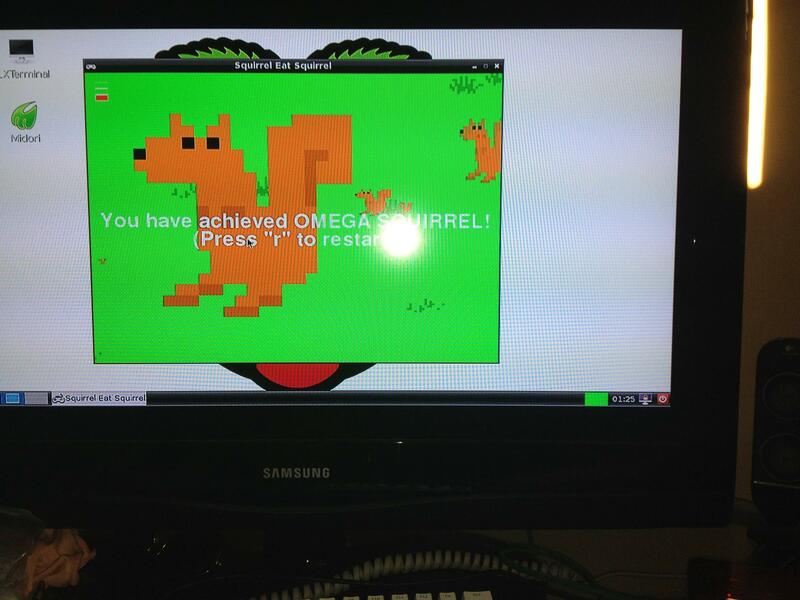 I'm playing eat the squirrel, and I am indeed the OMEGA SQUIRREL!!! Oh and it works fine with my slimblade and poker. 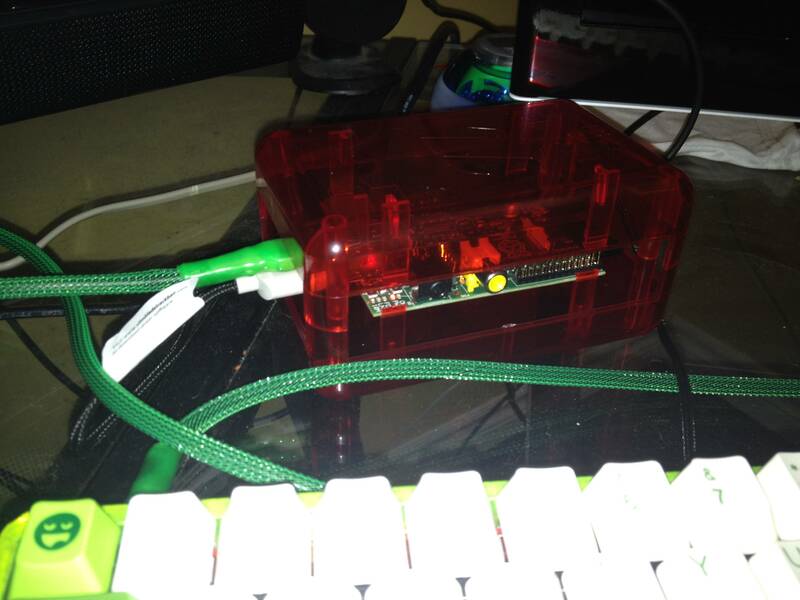 Next thing to do: Get a full sized keyboard, fix up the case so that only the 60% space is open and drop in the Pi, a USB hub, and whatever else you need to have single component computer! That'd be pretty sweet! Maybe I'll fashion some sort of wooden case to hold everything. Also need another HD cable, only have one I'm stealing from my dual display. And I am stealing my room mates phone charger, going to need to find my own I suppose. This is my thought every time I look inside a Dell AT101W, there really is space for a full computer inside that upper portion of the case. Got my motherboard ASUS P8Z77-v LK back from RMA and got a keyboard from someone that I need to fix up. Well it was when it was working, now that its fixed (hopefully) itll be as awesome as it was before. Just got this. God bless you, Sheraton. My keyboard collection is complete, for now! Kinda cool how you use the red modifiers and it blends in with the case. Looks sorta pseudo-winkeyless! Yes it's the bees knees! These modifiers came with the case! Very nice board M00nshake! I like the red, granted red is my favorite, but nonetheless very nice! now im the only cool kid with a phantom in a red filco case! That is pretty ballin! Wonder if there is enough room in this big ol Cherry I have sitting here. Would definitely be a cool project! motherboard officially fixed and working im on happy man. Well I remember seeing pictures of Italian Red Filco full set keyboards on the Internet a while back and really liking them, but of course not being able to find one for sale anywhere. I never thought I'd own one, and this being tenkeyless as well makes it all the more special , I think. Either way, I feel like a kid again! Now if I had the money for and could find a red cc key and a nice red key set, that'd be amazing! 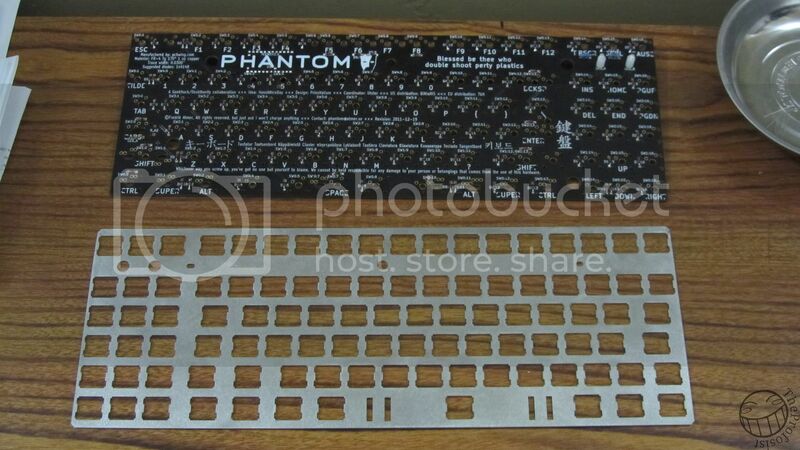 I didnt get this in the mail but rather had to pick it up, its my custom phantom plates so I can complete my Phantoms. do you plan on sticking with T-arrows and a 6 pack or are you going to use the rest of the available switch mounting area for other stuff? *Note: LWin and LAlt are opposite of the way they should be. I am working on getting this changed. they are normal for mac users can't wait to see it finished. Yea im currently waiting on WASD as he is out of town this week so I probably wont get my matching caps until next week or the week after. Page created in 0.101 seconds with 73 queries.